Here's mine, very similar to yours, yours has those extra buttons..
That's my Saitek. It's so nice! EDIT: Oh goodness! That image is HUGE. I'll repost another one. No need to roll your eyes...that keyboard is actually pretty nice. 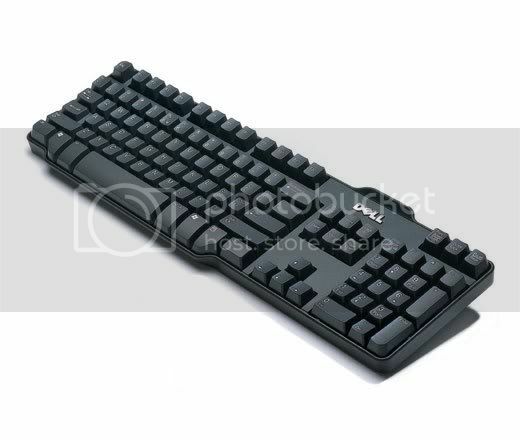 My school computers have those, and it's a light and simple keyboard. Kinda weird how the space bar is so big, but it's a very nice keyboard. 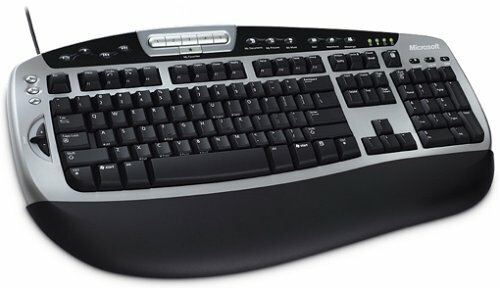 I like those, we use them at school, and at my mums work..You can get a version with a smart card, the smart card has to be in the keyboard, or the computer locks, its really good, it's like the size of a credit card, they are really good. Is that one that you actually took? Yeah, those are for businesses, so each employee has a card to login with. When they're done, take out the card it it's all secure.